HARTWELL, Ga., May 21, 2018 /PRNewswire/ -- Nestlé Purina commemorated the opening of its newest distribution center in Hartwell, Georgia, during a ceremony May 19. The site is also the future home of the company's 21st manufacturing facility, where popular and high-quality Purina pet food brands will be produced beginning in mid-2019. 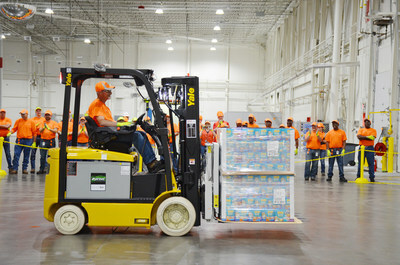 The 190,000-sq ft distribution center currently employs more than 40 people and distributes Purina dog and cat food to retailers throughout the southeast region. Purina's leading brands in the U.S. include Purina ONE, Tidy Cats, Beneful, Friskies, Fancy Feast and Purina Pro Plan. "We're thrilled to have the leading pet food company in the U.S. make this kind of investment in Hartwell," said Brandon Johnson, Mayor of Hartwell. "Purina's expansion here reinforces our actions to support industry, agriculture and our continuing emphasis on workforce development." Pat Masching, Purina's Vice President & Director of Manufacturing, said, "We're excited to mark the completion of the first phase of this project. Pet care is a growing part of Nestlé's business, and the opening of the distribution center in Hartwell represents the first step in Purina's journey to expand production capacity into Hartwell, which will help us meet consumer demand." Purina's expansion in Hartwell is one example of how the company is making investments to grow the business and advance pet care. In 2018 alone, Purina will invest $500 million into its factories across the U.S. for projects that support innovation and expansion. With a total expected investment of $320 million by 2023, Purina's Hartwell site will be among the most modern pet food factories and feature best-in-class production equipment. 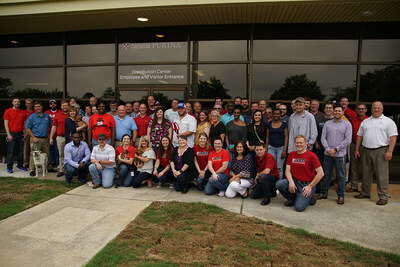 Hartwell is Purina's second facility in Georgia, where the company also employs 300 people at its Atlanta pet food factory. 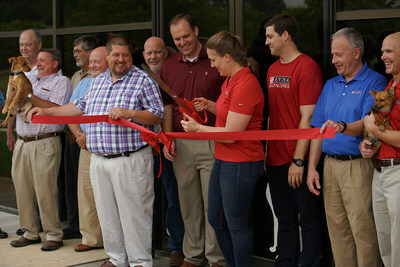 "Hartwell is a great place for Purina to grow as we continue delivering best-in-class quality and nutrition and driving innovation that helps pets live happier, healthier lives," said Rachel Miller, Site Manager for Purina in Hartwell. "We're grateful for the support of the community, our new employees and their families as we officially begin our operations here." In Hartwell, Purina will employ approximately 240 people by 2023. Future job openings include positions in administration, production, engineering, maintenance and more. Job seekers can visit PurinaJobs.com/HartwellOpening to learn more and be among the first notified when new positions are posted.